So we did an RGB Gaming PC Build for 75k, which received a really good response from the community. And also there were several others who requested a Performance Build i.e No RGB, find the best for the money. So we did some goofing around and have found the right build for the money. So with a Gaming PC focused purely on performance and not the looks, we did find some interesting hardware. But the hardest decision is always “Which CPU to go for?” While Intel’s i5 8th gen CPUs perform really good when it comes to Gaming, the AMD Ryzen 5 series is not far behind in terms of numbers but also feature Factory-Unlocked CPUs and also more thread count. That means the AMD CPUs may lack a few fps compared to the Intel equivalent but make up for everything else with more threads. Having more threads is a huge relief for content creators and Streamers who do a lot more than just gaming. So we eventually decided to go with a Ryzen 5 Build, also we’ll mention the Intel alternatives in case someone wishes to go with Team Blue. With a budget of 75,000 INR in mind, we put together a pretty solid Ryzen 5 Build which screams performance and FPS. Let’s take a look at all the parts we have used for this build. As already mentioned, the CPU of choice would be a Ryzen. We decided to go with the 1st gen Ryzen 5 1600 to be the heart of our build. 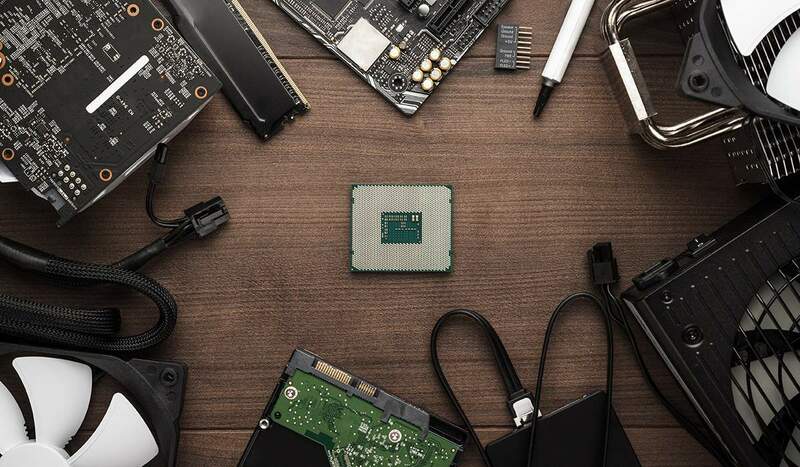 The chip features 6 cores,12 threads and has a base clock of 3.2 GHz with a max boost clock of 3.6 GHz. It also comes with a wraith stealth cooler which is quite capable of decent temps and also some light overclocking. Since the idea is to get max performance, we felt an X370 was definitely the right choice since it’s overclocking is also much better than a B350. And hence we ended up with a Gigabyte GA-AX370 Gaming 3 Motherboard. The board is not only cheap but supports 64GB DDR4 3200 MHz RAM, 2-way crossfire, 4 RAM slots for future upgrades and many more features. Since the budget is pretty decent enough to afford some good and fast 16 GB RAM, the obvious choice was G.Skill Ripjaws 8 GB*2 kit coming in at just 12,855 INR. The RAM is clocked at 2666 MHz and has a great price to performance ratio. If you intend to stream/edit videos, 16 GB is a must for the current video editing softwares, and hence the choice. This was a no-brainer, we can easily opt for a 2 TB HDD or 1TB HDD with a 120GB SSD as per the user’s requirement. Thus, we went with a 2TB Seagate Barracuda 7200 RPM HDD for mass storage which costs around 4640 INR. Well this was a bit tough choice to make, with the budget in mind and also additional cooling options on the plate we were split between a GTX 1070 and GTX 1060 6GB. If we went with 1070, we would go way our budget for remaining parts and that’d make the title of this article totally irrelevant. Hence the Founder’s Edition 1060 6GB was our choice of Graphics Card. This card is beefy enough to play games @1080p Ultra Settings, Streaming and also Content creation thanks to the 6GB VRAM. If we put together all these parts in pcpartpicker and check the total wattage of the build, you’ll be somewhat close to 280 Watts. So we would need a PSU with the wattage of 500W or more just to be on the safer side since we’d be overclocking as well. So we went with a Cooler Master MWE 550 which has 80plus White Certification and comes around 3,250 INR. This was not a tough choice as compared to other parts since there won’t be any RGB components and also will be quite cheaper. So we had 2 choices, the first one being Corsair Spec 4 and the latter being the Corsair Spec Alpha. The alpha costs a bit more than the Spec 4, the difference between either of the cases isn’t that significant and also since this is a Non-RGB build, overspending on a case didn’t seem like the right thing. Hence we went with the Spec 4. Since we’d be overclocking, we thought adding a quality cooler would be the right choice, and then again we’ve two choices. The first one being the Corsair Hydro Series H45 and the second one being Cooler Master MASTERLIQUID LITE 120. While both are Liquid Coolers for the CPU, they both perform excellently and keep the CPU from cooking the eggs and their cost is also very similar, so one cannot go wrong if they chose either one of these. The total amount for the above parts comes around 70,150 INR which is a still under our budget. If you choose to add a Liquid Cooler, the total comes to 74,000 INR which is totally worth it considering how much more performance you could squeeze out of your rig. Well, that was it guys. Thank you for sticking around till the end. As always if you have any suggestions/ corrections do leave a comment down below. See you guys in the next one. Coder by day and Gamer by night. Potterhead, Madridista and Tech enthusiast. Thank You for the information as I wanted to build and assemble a PC for a long time. Just wanted that what all parts has to be used if you want to work on AI, Machine Learning and for gaming. Cause I like to play games and as Computer Science Engg. Student I am working on Machine Learning and IOT. Are these components well enough or I have to add more? Hi as far as gaming is concerned, this particular build will do you good easily for 2-3 years. And coming to Machine learning and AI, this setup is like the beginner level setup but you could add a GTX 1070 which will be a lot of help in this line of work and also gaming. Since this is a Ryzen-centric build, I think 2666mhz ram may not be bad but 3000mhz would be better. Agreed the cost is higher but Ryzen does benefit tremendously with high speed ram because of the infinity fabric inside. 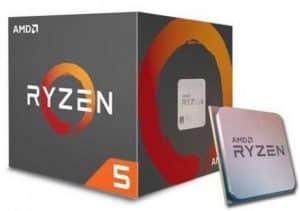 So, a suggestion would be to skip the AIO for higher speed memory, as the wraith stealth/spire does a decent job for stock or modest overclocks. What do you think? Yep,as you said Ryzen prefers high speed RAM, anyone could easily choose a 3000MHz RAM over adding a Liquid Cooler anyday if they’re totally cool with the stock cooler. Even if it’s a budget build, please do not recommend a PSU that is not above 80+ silver rating. It’s a bad habit that encourages price over quality for companies. It also affects the efficiency and lifetime of a pc. Will keep that in mind mate. Thanks!! In this article I felt the 128 GB SSD is too low capacity considering today’s games. Atleast 256 GB, preferably 512 GB SSD would be my suggestion. Hey man, the 8th i7 gen CPUs start from 24k for i7-8700 and the 1060 Founder’s Edition for 24.5k , you could add a H370 motherboard(9k INR) which support 8th gen intel CPUs. Some 16GB ram maybe , 2666MHz or 3000 MHz depending on your requirement. The problem with adding a higher capacity ssd is that they’re a bit costly. I mean a 240GB SSD costs same as a 2TB 7200 RPM HDD which is 4500+ INR. So i usually suggest to use the SSD as the OS drive and maybe one game or max 2.